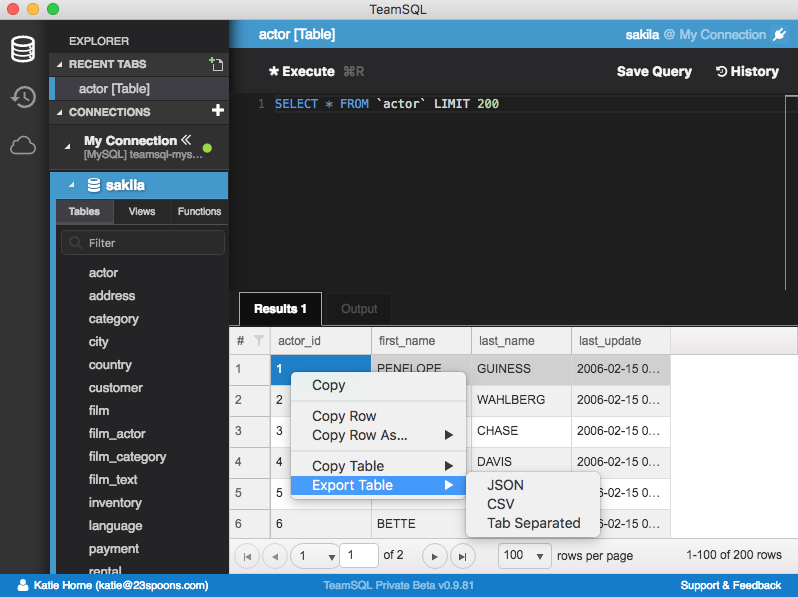 NOTE: You can connect to AWS Redshift with TeamSQL, a multi-platform DB client that works with Redshift, PostgreSQL, MySQL & Microsoft SQL Server and runs on Mac, Linux and Windows. 1. 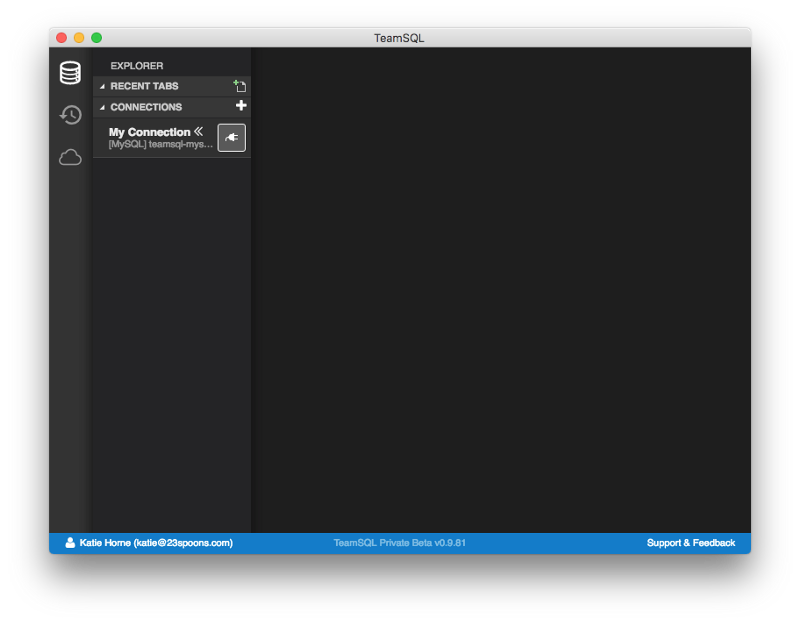 Launch TeamSQL, and connect to your database server by clicking on the Socket icon next to your desired connection. 2. 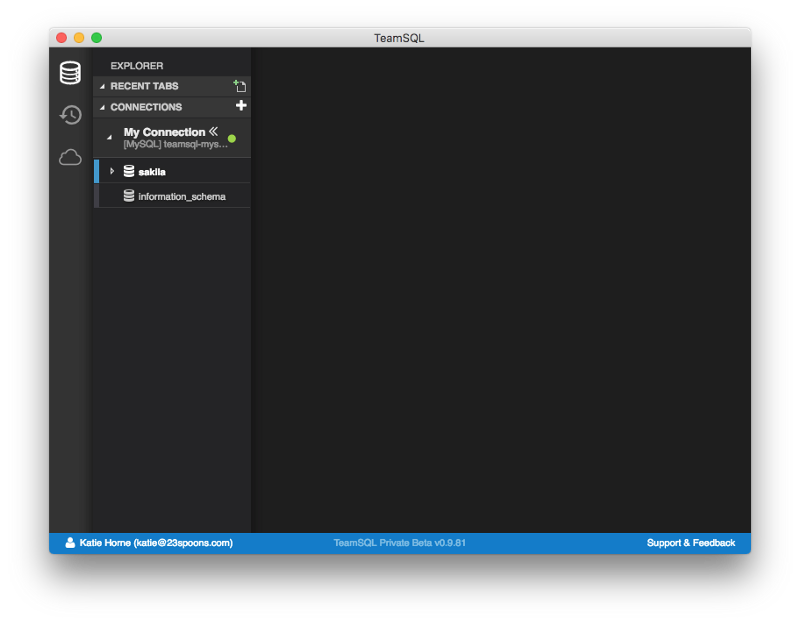 Once connected, you’ll see a list of databases on the server to which you’re connected. 3. Click the name of the database you’re interested in to view a list of the tables it contains. 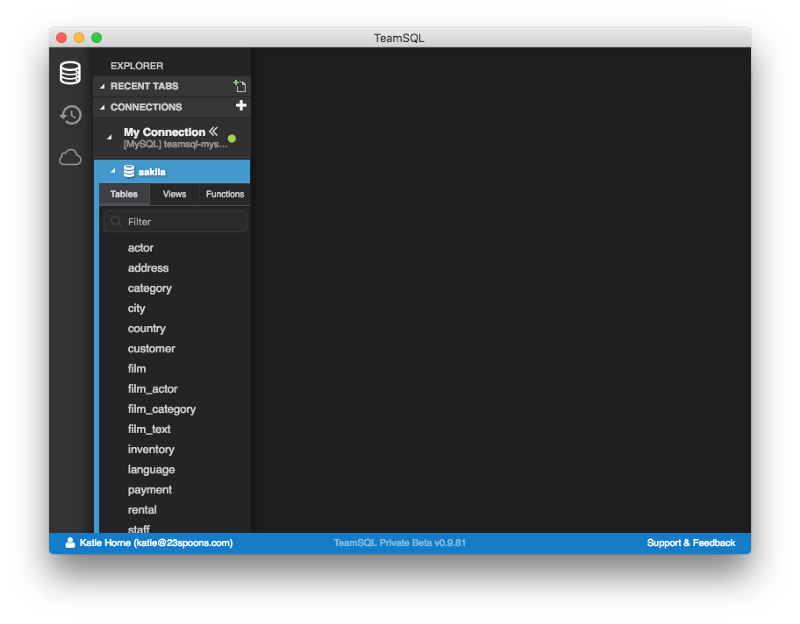 By default, TeamSQL returns only the top 200 rows to ensure performance. 5. Once loaded, right click on the table to display the Export Table option. You can choose to export your data in JSON, CSV, or Tab Separated formats. 6. 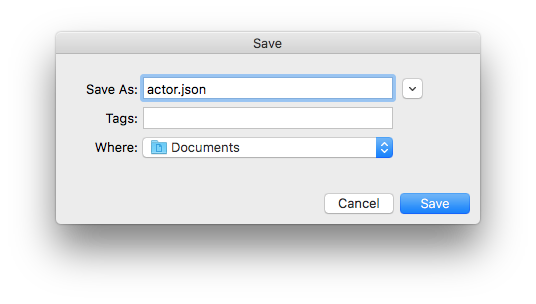 Provide a name for your file, as well as the location to which it should be saved. You can now access your data file in the location you specified.